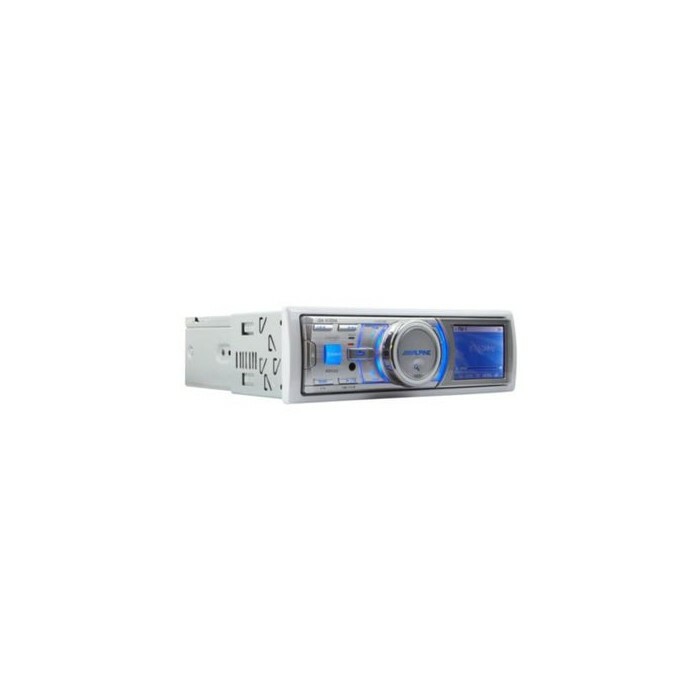 Leave your CDs on shore � Alpine designed the iDA-X100M digital media receiver to be the most intuitive solution for using an iPod on your boat. Use the over-sized jog dial and full-color 2.2' display to locate your favorite tunes. Leave your CDs on shore — Alpine designed the iDA-X100M digital media receiver to be the most intuitive solution for using an iPod on your boat. Use the over-sized jog dial and full-color 2.2' display to locate your favorite tunes, and you'll feel like you're using the iPod itself. It'll even display album art from your iPod. 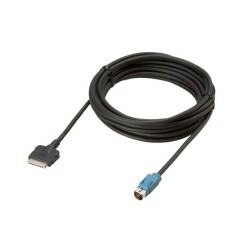 Connect the latest iPods and other portable audio sources to the receiver's USB input, or you can use Alpine's optional KCE-422i cable to set up a 'Full Speed' connection with older iPods. You get easy and fast music selection and the best possible sound quality. The centrally located jog dial mimics the functions of an iPod's click wheel. Turn it a little to access Search mode, then scroll line-by-line. Turn and hold the knob to move to Alphabet Search mode — now you can scroll through the letters of the alphabet to jump quickly through your lists of artists, albums, or songs. The current song keeps playing, so you won't interrupt the music while you're searching. The convenient 'Back' button that lets you backtrack through the menus, instead of starting over from the top. 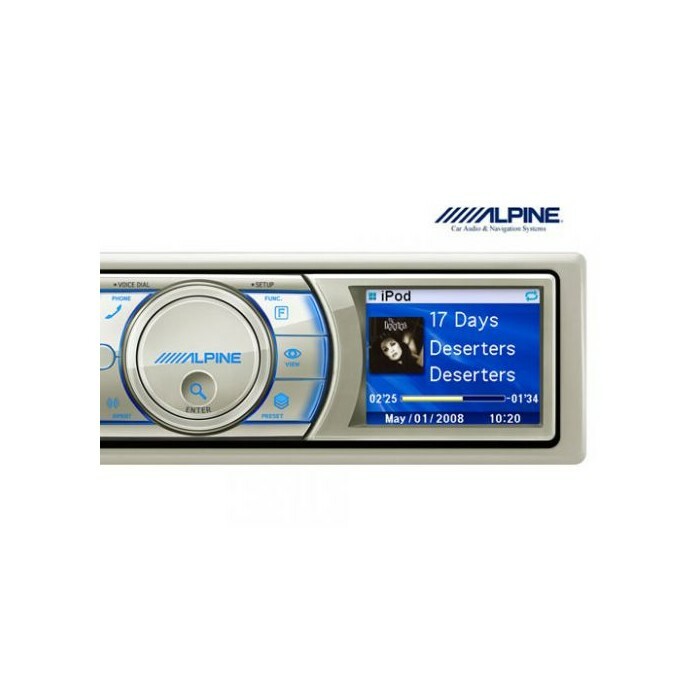 This versatile stereo works with all of Alpine's peripheral gear, including satellite radio, auxiliary input adapter, add-on USB input or CD changer. 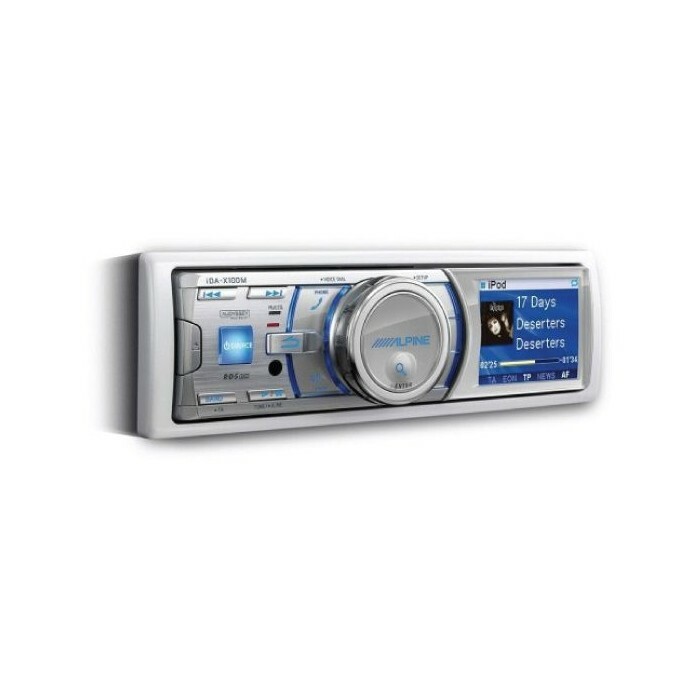 Add Alpine's optional KCE-300BT Bluetooth interface, and you'll be able to mute the music, answer an incoming call, or place a call with a touch of a button. You can also stream music from a music phone or Bluetooth capable music player. 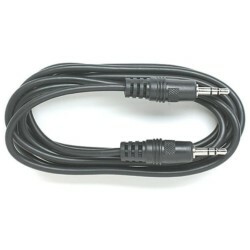 Setting up a system with external marine amplifiers and subwoofers? You'll love the three sets of preamp outputs and the ability to control the subwoofer's output level from the stereo. Add Alpine's PXA-H100 IMPRINT sound tuning module for incredible sound control features, including a 5- or 7-band equalizer, 6-channel time correction, and more. 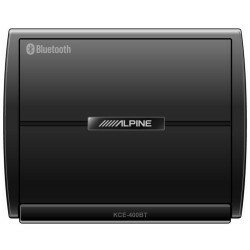 Bluetooth Ready � Alpine KCE-300BT Required. Features may differ between phone model and service providers.